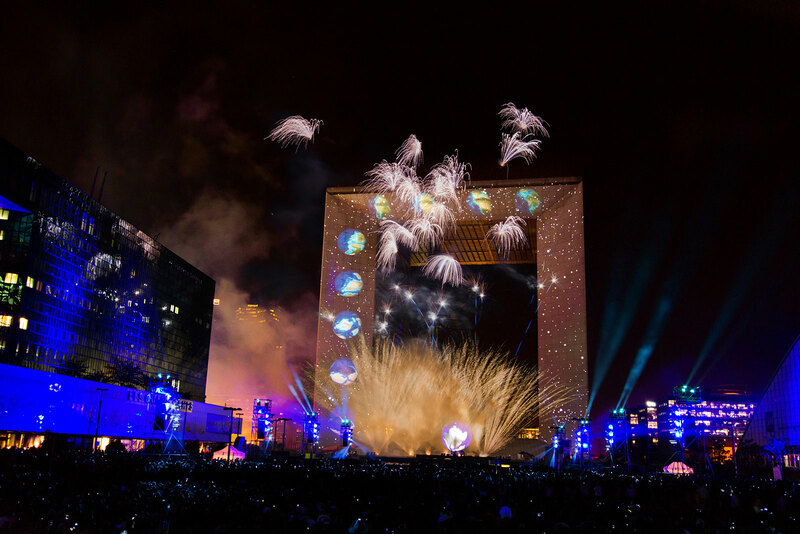 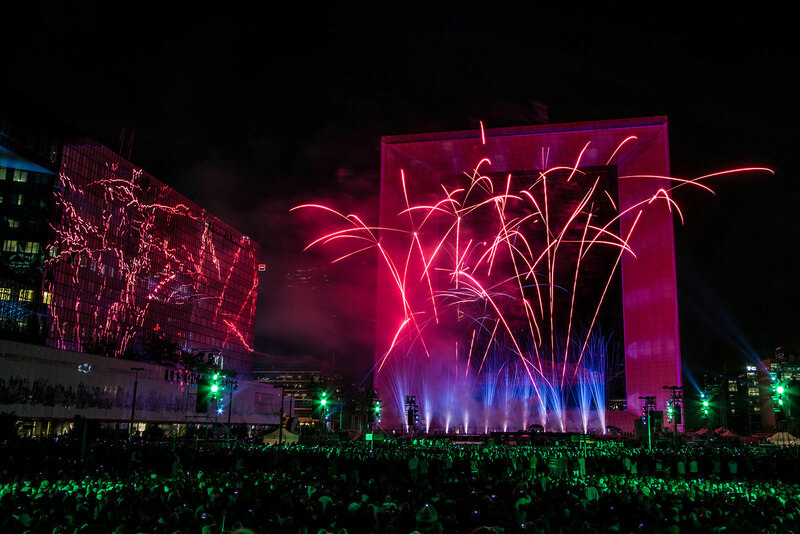 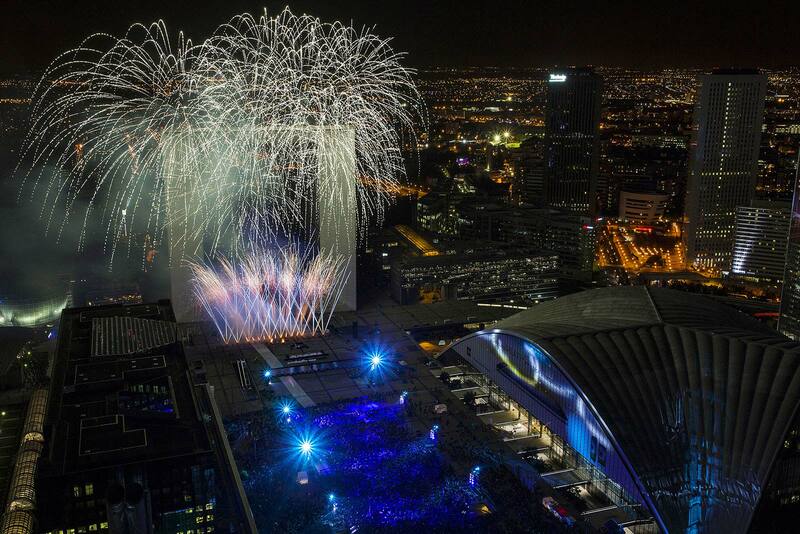 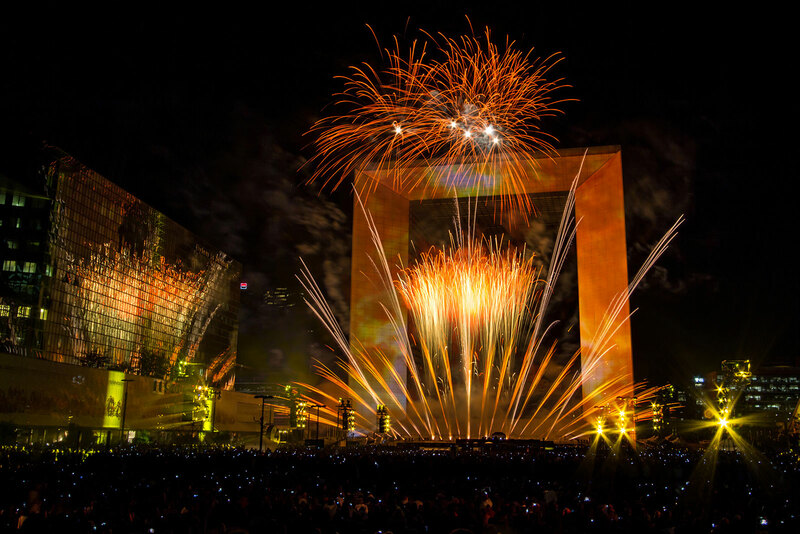 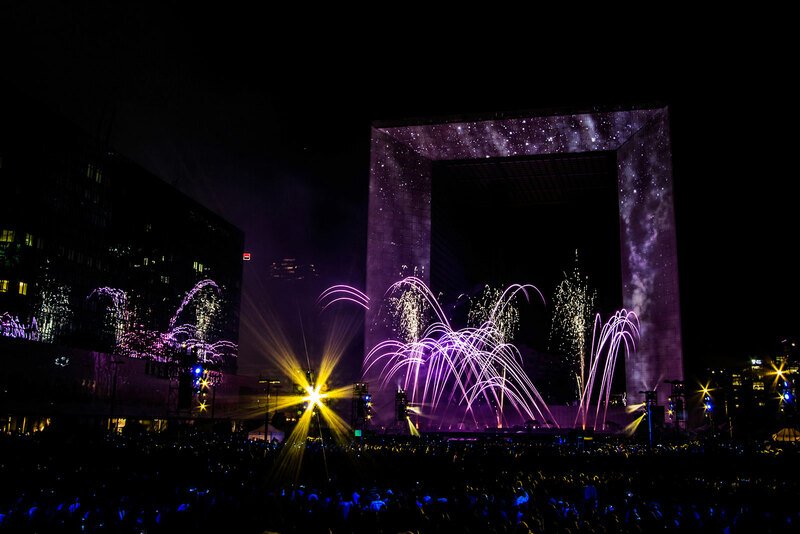 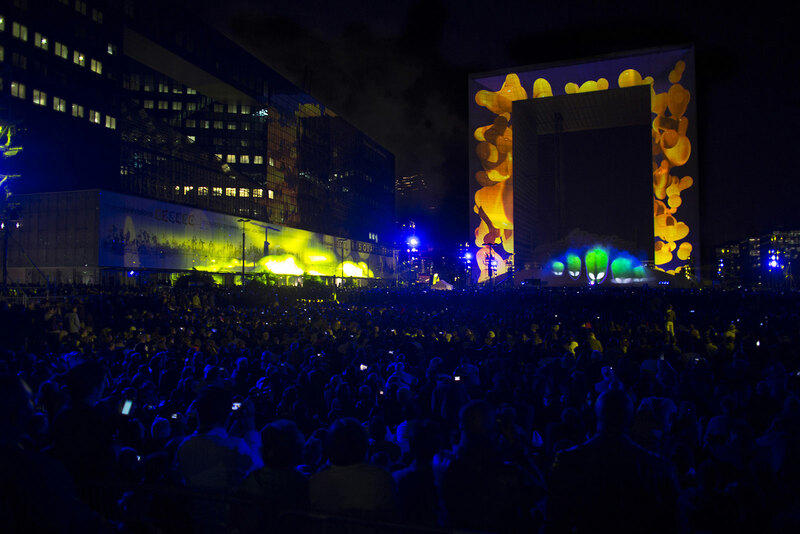 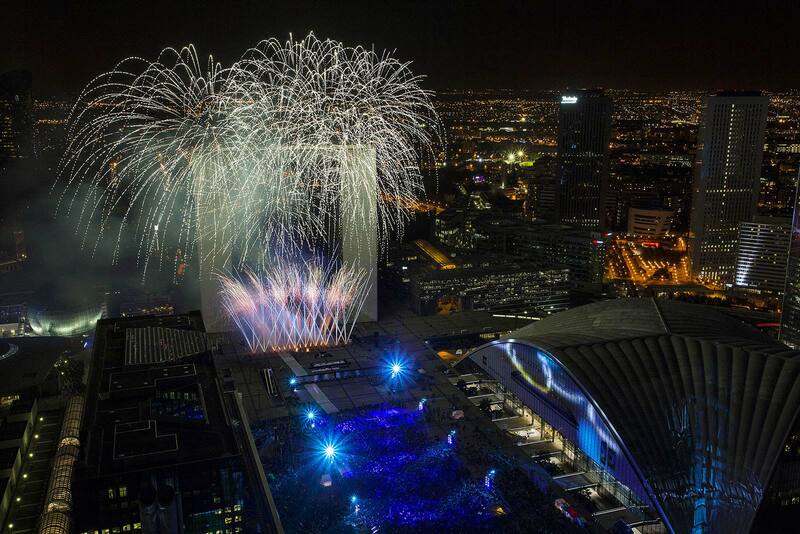 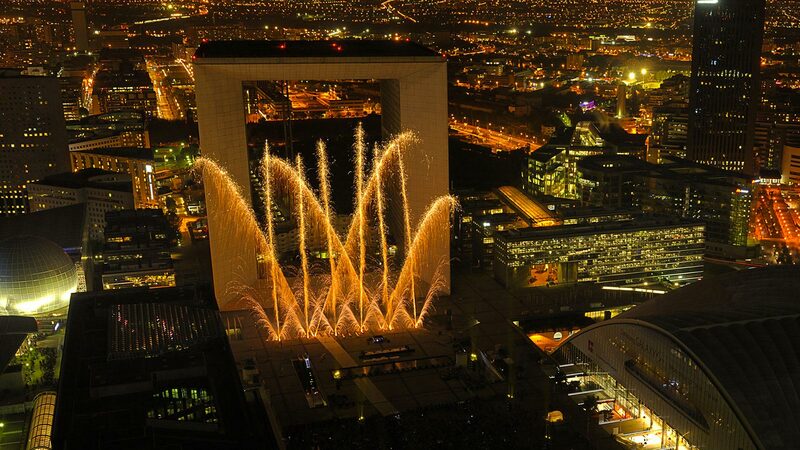 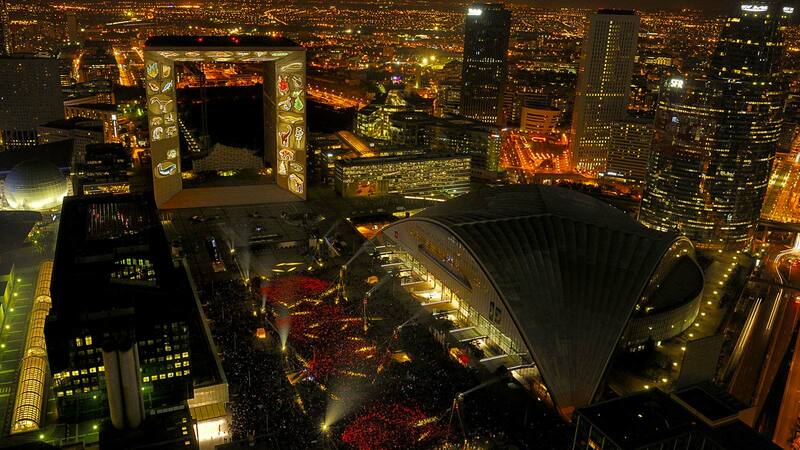 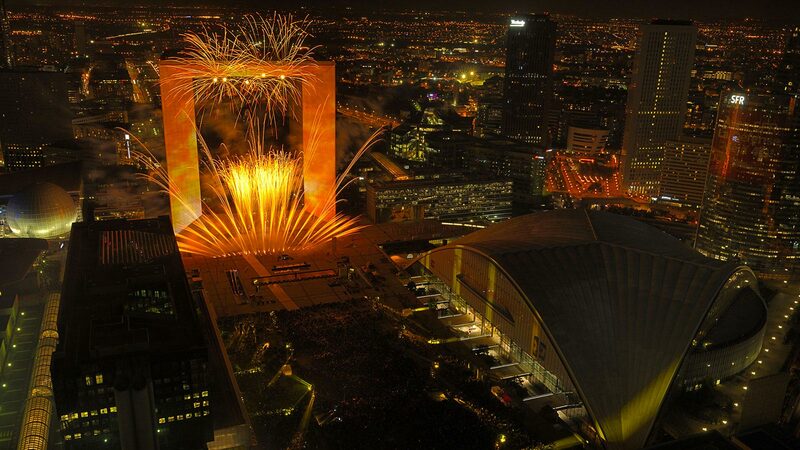 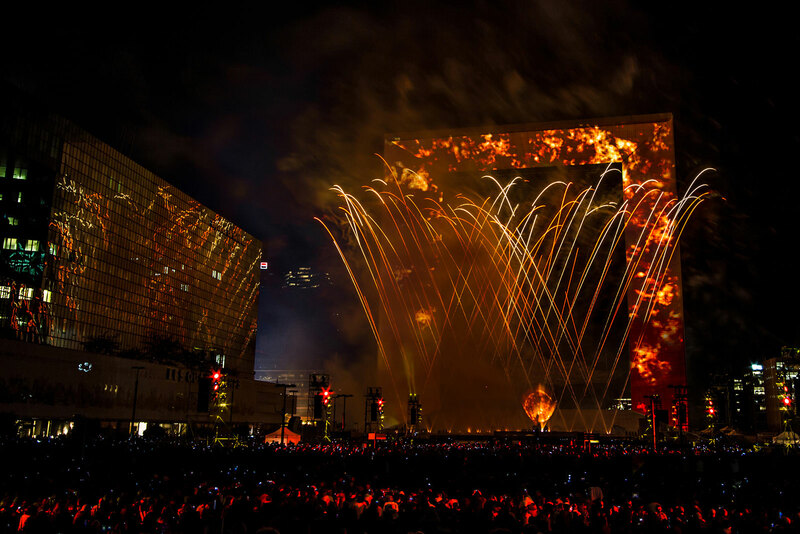 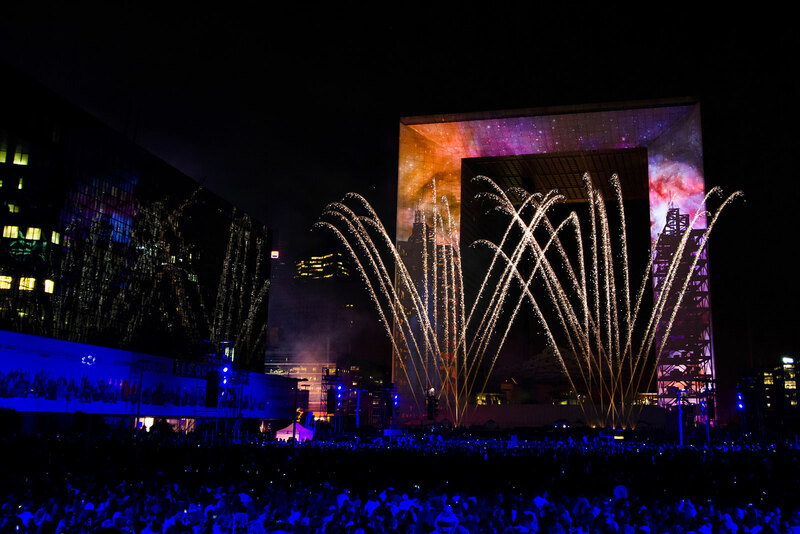 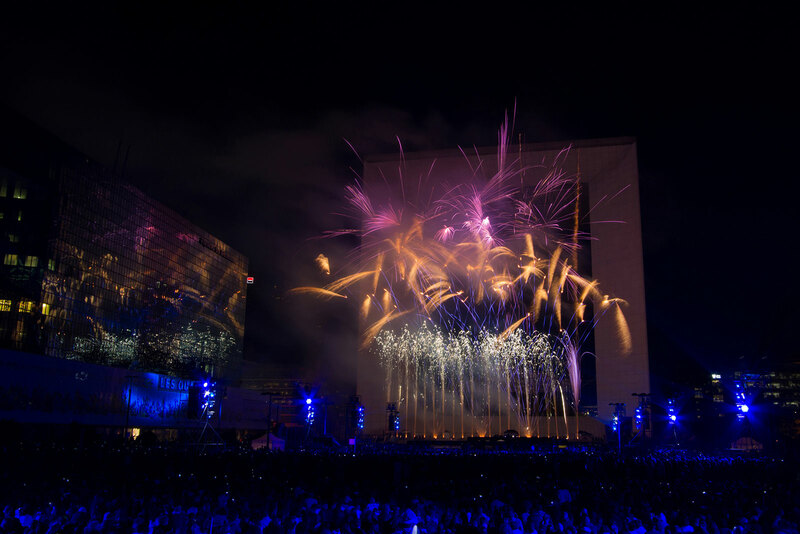 On the initiative of Defacto, in charge of managing and promoting the business district of La Défense, the vast square of the Parvis de la Défense played host to a multimedia and pyrotechnical show created and produced by Les Petits Français. 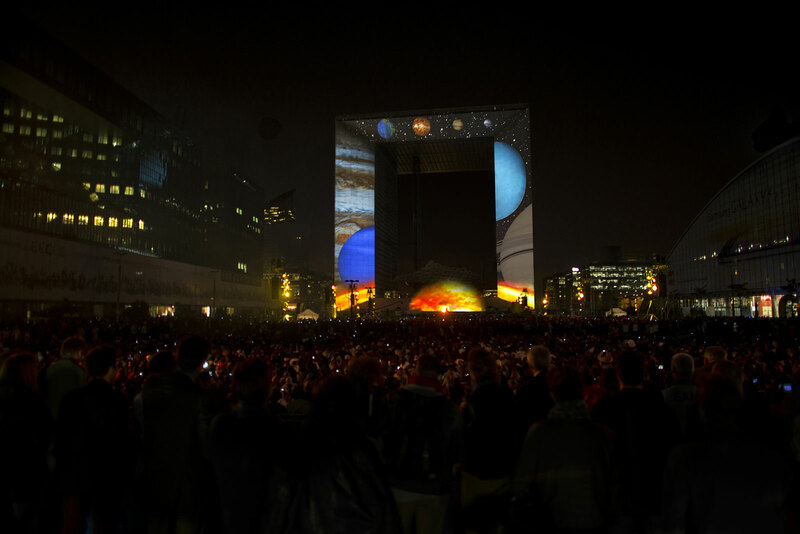 From the Big Bang to the appearance of life, then the conquest of space and encounters with mysterious extra-terrestrials, the show delved into our solar system, with the help of a large-scale scenographical programme. 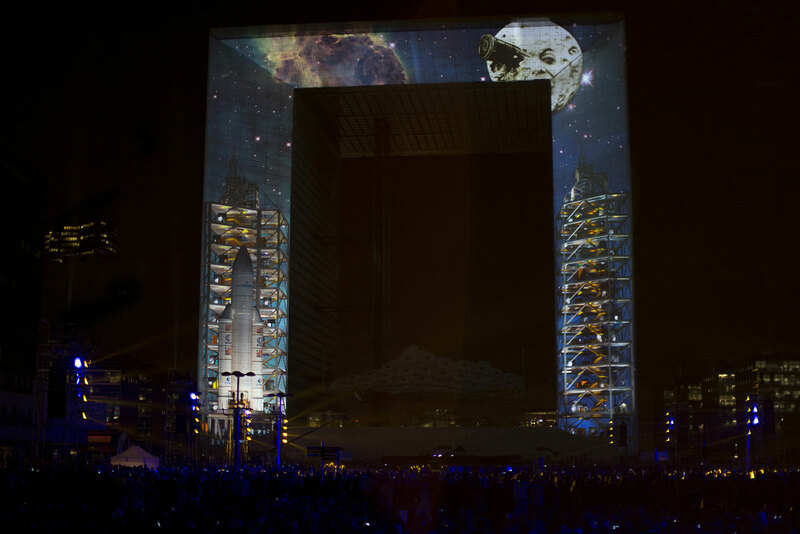 Thanks to the technique of video-mapping, the façade of the Grande Arche was metamorphosed by projections that altered its appearance for the duration of this journey into space. 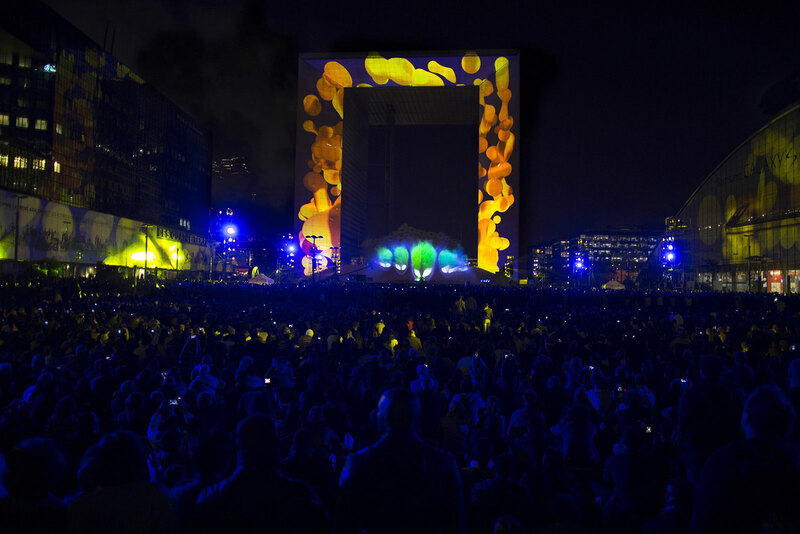 The original soundtrack coupled with a voice-over made it possible to guide and transport spectators during the show. 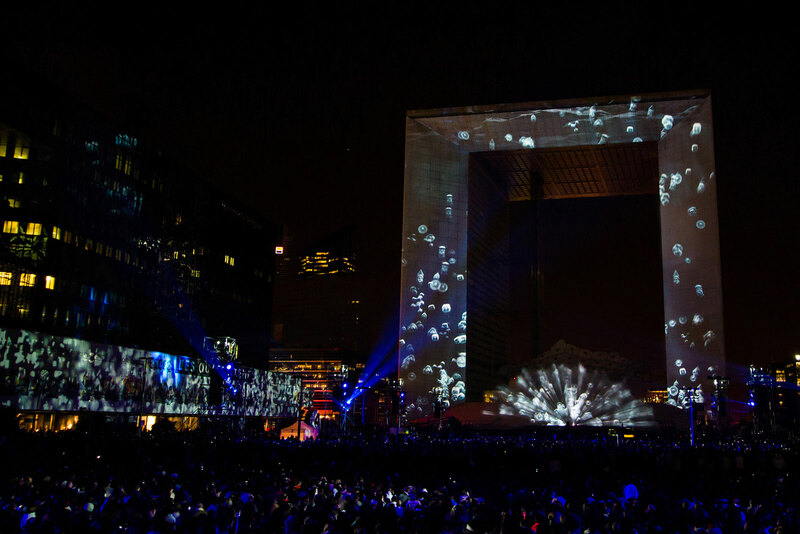 The water screen, 50 metres wide by 18 metres high, created an exceptional holographic projection surface to add another dimension to the piece. 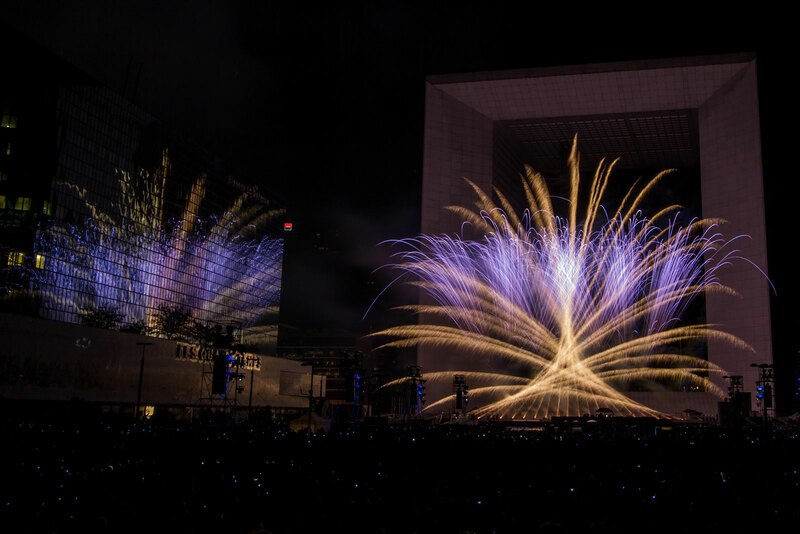 Last but not least, pyrotechnics lent precision and elegance to the sequences, while a rich and powerful grand finale took the audience’s breath away. 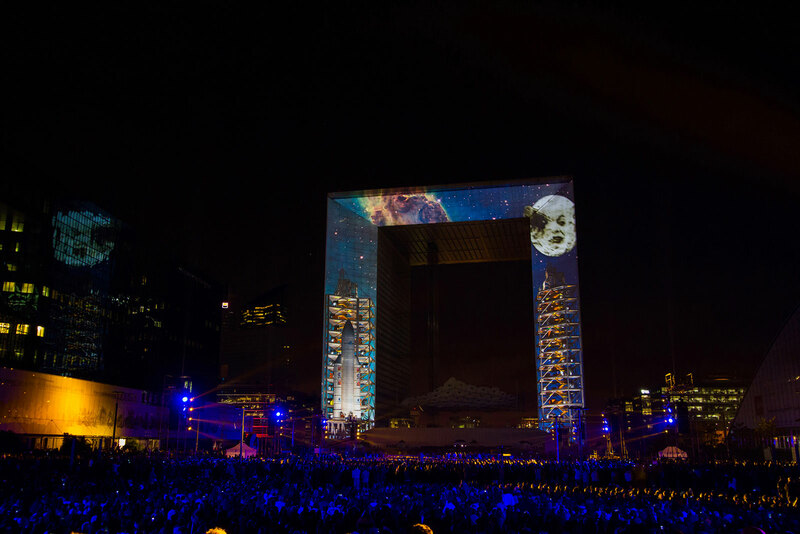 For almost 40 minutes, the Parvis de la Défense was became the stage for an exciting and playful space odyssey – taking some 50,000 spectators along for the ride. 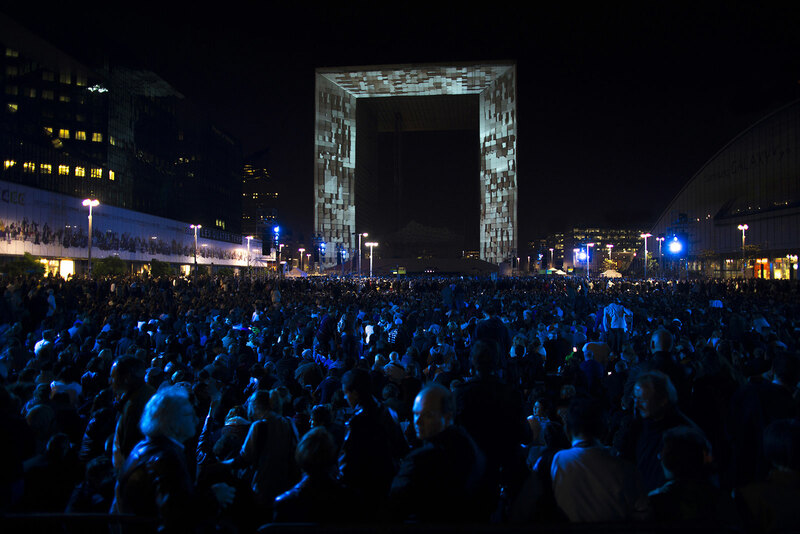 The team enlisted the expertise of Christophe Galfard, Doctor of Theoretical Physics, renowned for his ability to make science accessible to a broad audience.